What happens when two Yankees come home to the US for the first time in years? We head south. We have been lucky living in Bangkok to find some decent American comfort food. We’ve found good pizza and hamburgers and even found some good Mexican in Bangkok. The one thing we haven’t found is Southern comfort food. That’s we we spent a few weeks driving across the US south, in search of the best Gulf Coast eats. We spent a good chunk of our six week road trip along the Gulf Coast of Mexico. Starting in Tampa, we made our way west. We spent a night in Mobile, Alabama, visited the Mississippi Gulf Coast, followed by a week in New Orleans, and then off to Lafayette and Baton Rouge. This stretch of our American road trip was one of the tastiest. We ate some amazing food. But, some of the dishes we ate just stood out. These are the best Gulf Coast eats, and the ones you should track down! We’ve never been big oyster eaters. I’ve occasionally had them raw, but I have always struggled a bit with the texture. When I started to hear about how prevalent chargrilled oysters are along the gulf, I became a lot more intrigued. We started with a half dozen at Wintzell’s in Mobile, Alabama. We started easy with grilled oysters covered in cheddar cheese, bacon, and jalapeños. With a few drops of Louisiana Hot Sauce, they were fab. I was hooked. We tried chargrilled oysters as often as possible. They generally were great across Mississippi and Louisiana, and we were only disappointed once. 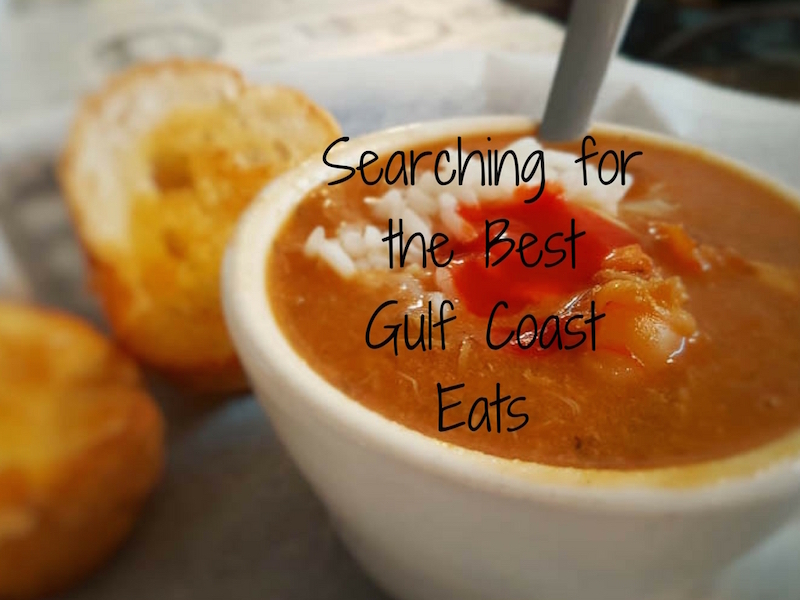 They are definitely one of the best Gulf Coast eats, particularly because they are so fresh and local. 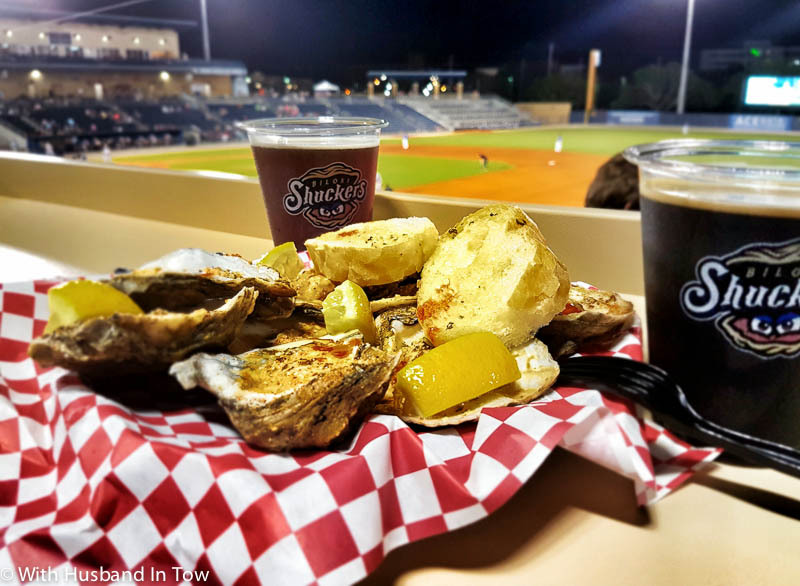 The Best Chargrilled Oysters: The best oysters we ate were, of all places, at the Biloxi Shuckers minor league baseball game. Of course with a name like The Shuckers, we were expecting to find oysters. But Julius, the oyster man of the ball park, grilled them up fresh in front of us. They were slathered in garlic butter, sprinkled with creole seasoning, and topped with melted parmesan cheese. Washed down with a nice Lazy Magnolia Southern Pecan craft beer, it was the best ball park meal I’ve had ever. Runner Up: We ate oysters at Acme in New Orleans, which were disappointing, and Drago’s in New Orleans as well. We ate them at Jolie Oyster in Baton Rouge, which were also good. They offer a good variety from the Gulf, as well as from the East Coast and West Coast. But, our runner up has to go to Parrains in Baton Rouge, where they introduced us to Oysters Bienville, which were tasty and juicy and delicious. They were prepared with butter, parmesan cheese, and bread crumbs, making them super crunchy. Our first po’boy experiences were in New Orleans during our early trips to hang out around Bourbon Street. At the time, we focused on fried shrimp po’boys, essentially deep fried shrimp on a fresh baguette, dressed with lettuce, tomato, and mayonnaise. Sometimes, the shrimp po’boys would be served with a spicy remoulade sauce. Remoulade is a French inspired sauce, normally mayonnaise based with enough spices that it normally is a pink or red color. During our trip to find the best Gulf Coast eats, though, we wanted to explore beyond the typical shrimp po’boy. We tried a catfish po’boy at Wintzells in Mobile, a fried oyster po’boy at Taranto’s outside of Biloxi, and a handful of roast beef po’boys as well. 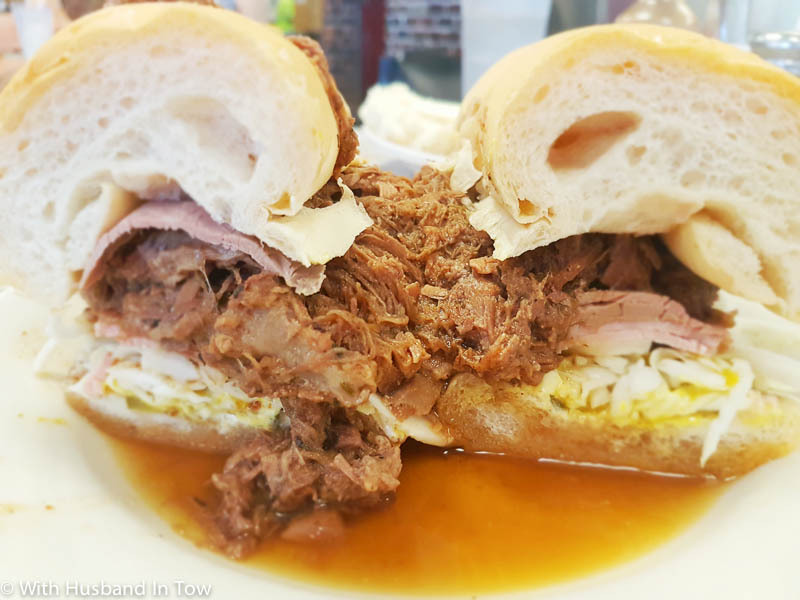 The Best Po’Boy: One of the best things we ate during our entire week in New Orleans was the Ferdi’s Special Po’Boy at Mother’s, one of the most famous restaurants in New Orleans. The Ferdi’s special includes their famous ham, roast beef, and debris, essentially bits of beef and au jus. It comes dressed with shredded cabbage, sliced pickles, mayo, and mustard. This was a napkin grabbing po’boy sandwich, as the au jus started to drip down my arm. The mustard and pickles offered a tanginess and the beef was so tender. We returned the following day for another, and took one home for a snack later that day. Mother’s often has a line out the door, and there is a reason why. Although a lot of locals claim that Mother’s is too commercial, and too touristy, their sandwich was spot on tasty, and you can’t argue with that. 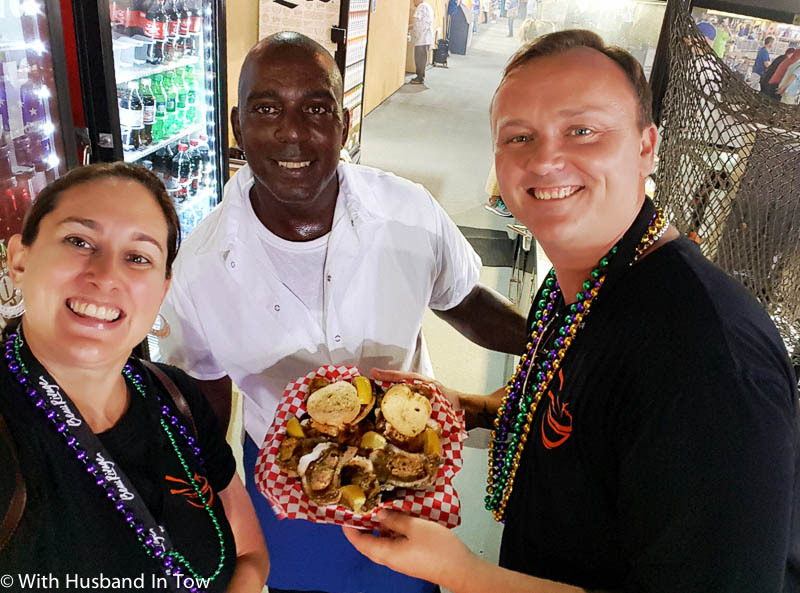 Runner Up: Before arriving at the Biloxi Shuckers game, we had already eaten 3 or 4 po’boys, including ones made with roast beef, catfish, and oysters. Two of these were at Taranto’s, which were quite tasty! At the game, though, we ate a shrimp po’boy, dressed with lettuce, tomato, mayo, a pickle, and served with a bit of remoulade on the side. My first bite was heaven. There is something about the crispness of the shrimp along the Gulf Coast, mixing with the fried breading, and the tanginess of the pickle. I ate this sandwich on a Facebook Live video, and probably made a fool of myself doing so. I was so looking forward to fresh biscuits during our Gulf Coast eats road trip, that we named our Kia Optima “Biscuit.” I don’t know what it is about a good biscuit. When well made, it’s just comforting. 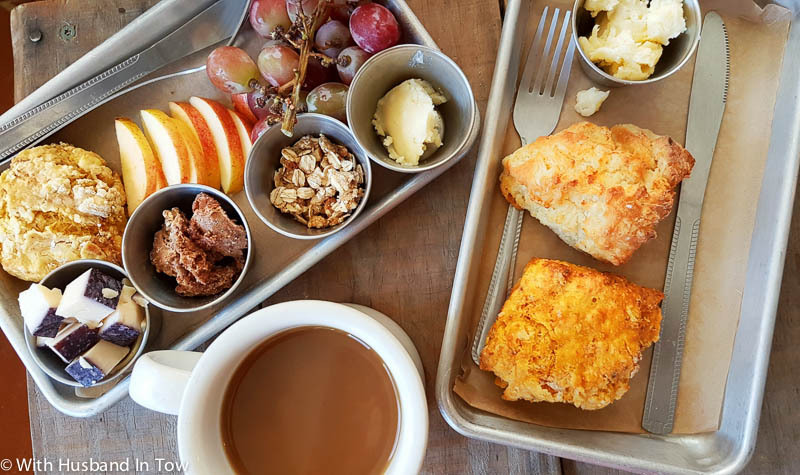 The Best Biscuits: In Ocean Springs, Mississippi, we were introduced to Greenhouse on Porter, a new-ish biscuit cafe, specializing in pour over coffees during the day, and craft beer infused trivia in the evenings. I was hooked as soon as we walked in and met Marigold, the adorable six toed Hemingway Cat that happily let me pick her up at will. Greenhouse on Porter’s biscuits are made fresh, in a small oven behind the counter. 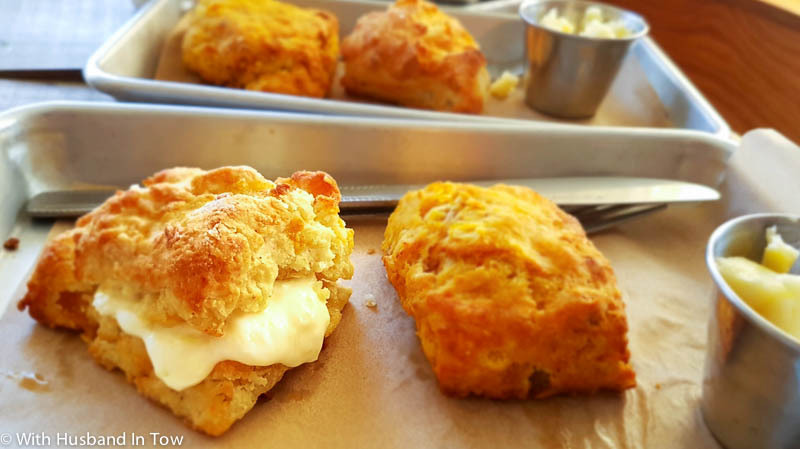 Each day they offer their regular biscuits, sweet potato biscuits, and one sweet and one savory speciality. They had me hooked on the first day, with a mango biscuit served with lemon fluff. When I asked one of the owners, Kait, what is in the fluff, she just replied “magic.” What I loved about Greenhouse on Porter was that it had a great neighborhood vibe. We were immediately welcomed by patrons, who all offered their suggestions on where to eat along the Gulf Coast. We visited Greenhouse on Porter each morning we were in Ocean Springs. Runner Up: As much as Greenhouse on Porter offered some tasty biscuits, as far as traditional biscuits go, the Rusted Rooster in Lafayette has to win at least an honorable mention. I went full southern and ordered the Gravy Train, a fresh biscuit, served with tender fried chicken in between, and slathered with gravy. Yep, biscuits, gravy, and fried chicken, all on one tiny plate. 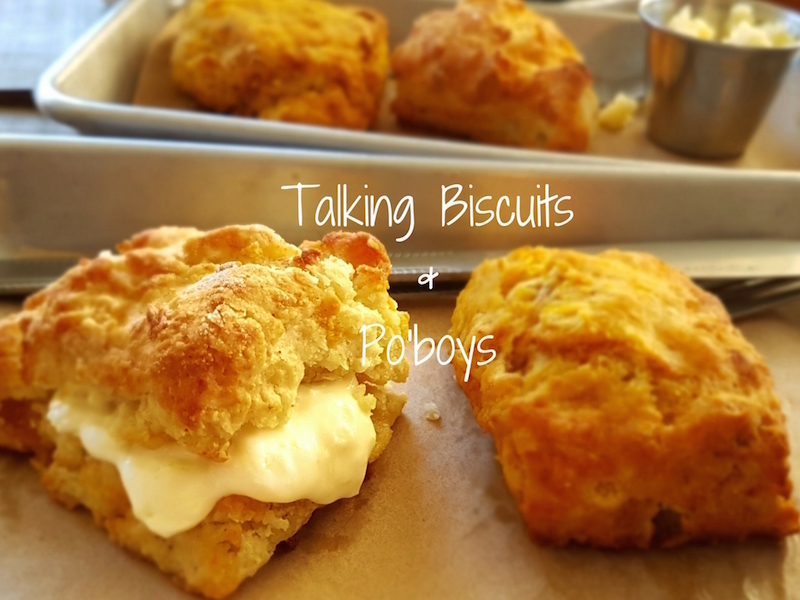 Listen to our podcast talking about biscuits with the ladies at Greenhouse on Porter. The real reason behind the road trip across the south was BBQ. We both love BBQ, and wanted to eat as much of it as possible. Places like New Orleans are just not BBQ cities, but all along the Gulf Coast there are loads of places to get great BBQ. The great thing about a lot of these places is that they are not entirely focused on one style, they are a blend of Texas, North Carolina, and even Kansas City style BBQ. 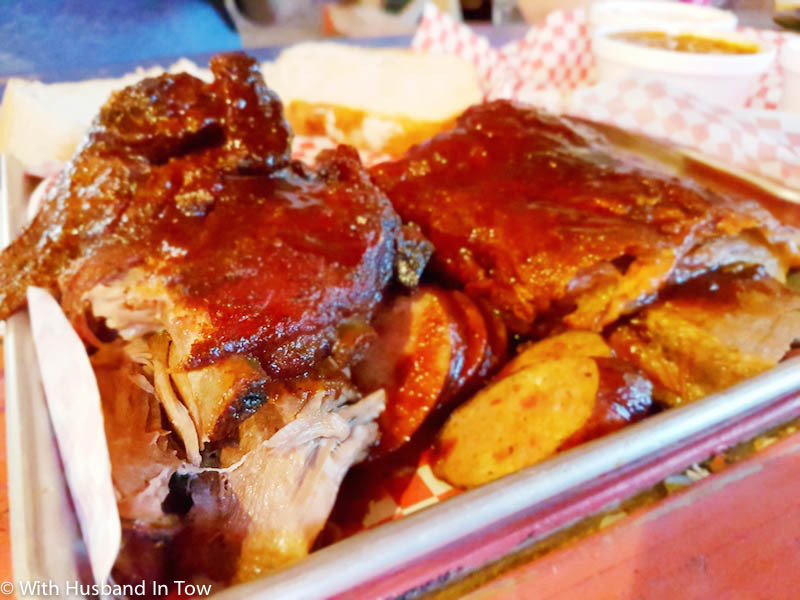 The Best BBQ: Any time we can meet the owner of an award winning BBQ joint, we are in. We sat down with Brad of The Shed BBQ in Ocean Springs, Mississippi, and talked BBQ. He is as much of a character as his father, known as Daddy O. And, he makes some mean BBQ, literally award winning. The highlight for me was the brisket, which had a black pepper flavor to it, along with the tangy BBQ sauce. Dining at The Shed is also an experience, one in which words alone cannot do it justice. 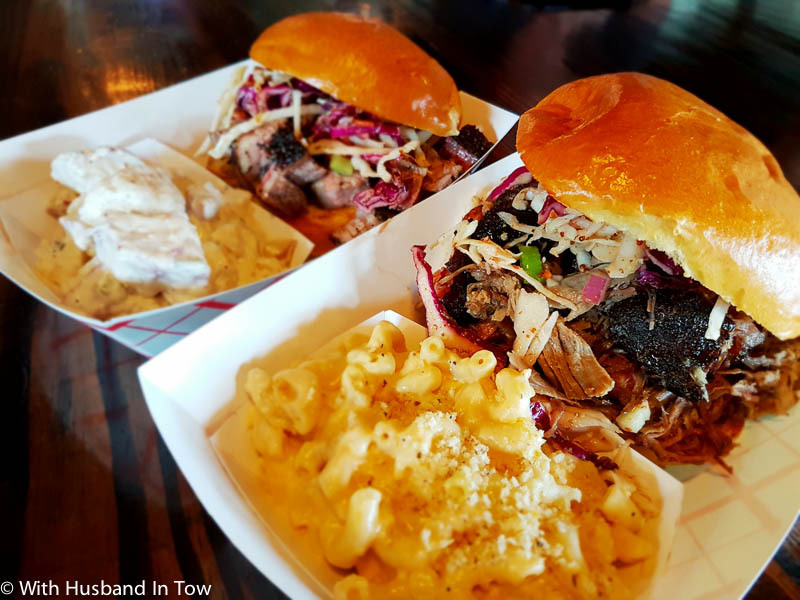 Runner Up: As much as NOLA is not known for BBQ, we ate some great pulled pork and brisket sandwiches at McClure’s BBQ, located inside the NOLA Tap Room. It was a huge portion, tender, and loaded with cole slaw. A nice job for BBQ, and especially surprising to find in New Orleans. We were cheated just a little bit on our crawfish eating experience because it was not crawfish season. We missed out by just two days when Taranto’s Crawfish in Mississippi had a special crawfish day, unheard of in August. Due to the recent rains, some crawfish had crawled its way to the surface, and Taranto’s claimed the catch. But, during our time searching out the best Gulf Coast eats, we ate seafood gumbo, crawfish étouffée, and jambalaya all over, whenever we could. It was the only way we could get our crawfish fix. 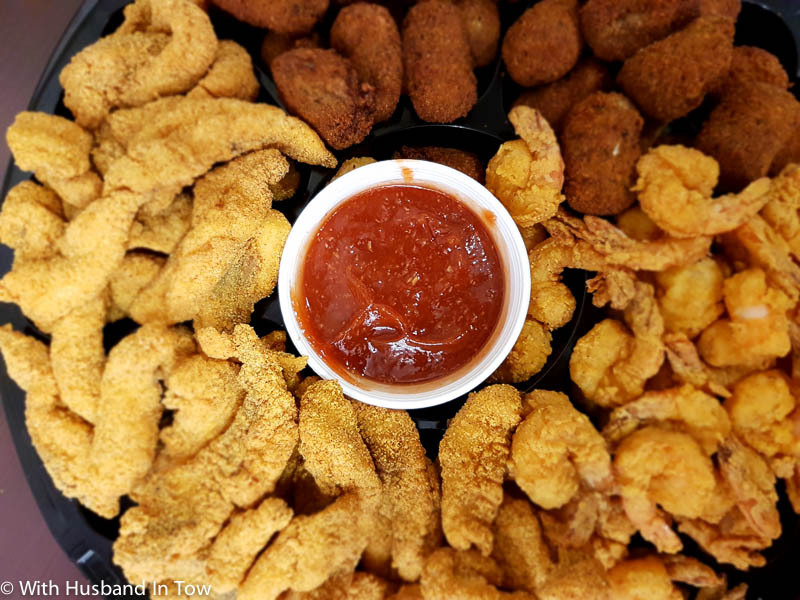 Best Étouffée and Jambalaya: During our visit to Baton Rouge, we toured the Louisiana Fish Fry factory, getting a behind the scenes tour of how they make their famous fish and shrimp fry. After our tour, we received a few giant platters of food from Tony’s Fish Market, famous all over Baton Rouge. 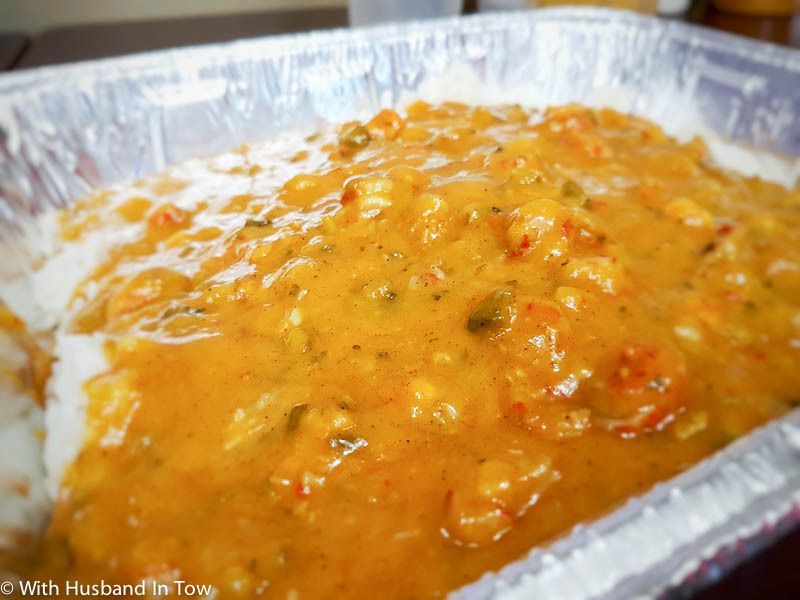 Along with our platter of fried shrimp and fried catfish, they brought out a vat of tasty and creamy crawfish étouffée, along with a giant bowl of jambalaya. I was not expecting it to be as good as it was. Runner Up: Of all places, at an old school, traditional southern restaurant, Eric enjoyed a steak stuffed with crawfish. At Cafe Vermilionville in Lafayette, Eric enjoyed their Steak Louis XIII, which just exudes tradition. And, yes, it was stuffed with crawfish tails, and then slathered in a crawfish mornay sauce. Simply decadent. We are not big sweets eaters, focusing more on the savory. Besides, once we’ve loaded up on the oysters, po’boys, BBQ, and washed it all down with some craft beer, we are pretty darn full. That said, we had a couple of great desserts during our road trip. That said, I am a big bread pudding fan. I love the layers of gooey deliciousness. The addition of raisins or nuts is also welcome. 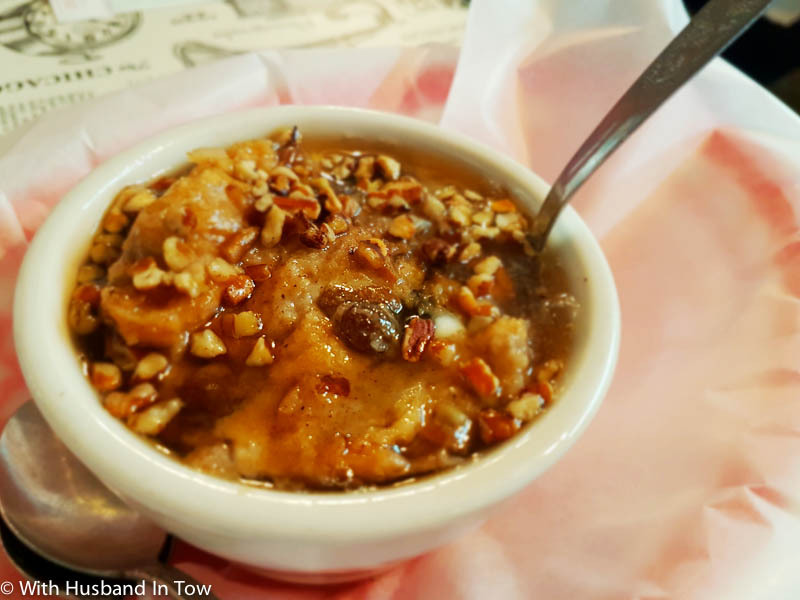 Best Bread Pudding: We stopped in at The Little Big Cup in Arnaudville, Louisiana, just outside of Lafayette. I was not hungry when we sat down, so we split their special po’boy sandwich. The po’boy alone should get an honorable mention above, as it was fabulous, but it was a little more refined, higher end po’boy, lathered in crawfish and cream sauce. Then, we met the owners, Sanjay and Kevin, who offered us the chance to sit on their newly built back deck, overlooking the bayou. They brought out their pecan cheesecake and a warm slice of their home made bread pudding. As full as I was, I went to town on it. The bread pudding itself was good, but it ranks here mostly because we enjoyed chatting with Kevin. Kevin shared their story, and how they moved back down to his little home town after escaping the corporate life in New York. Part of what they are doing at The Little Big Cup is trying to change the perceptions of food in the Lafayette area, which is increasingly becoming loaded with chain restaurants, like much of America. 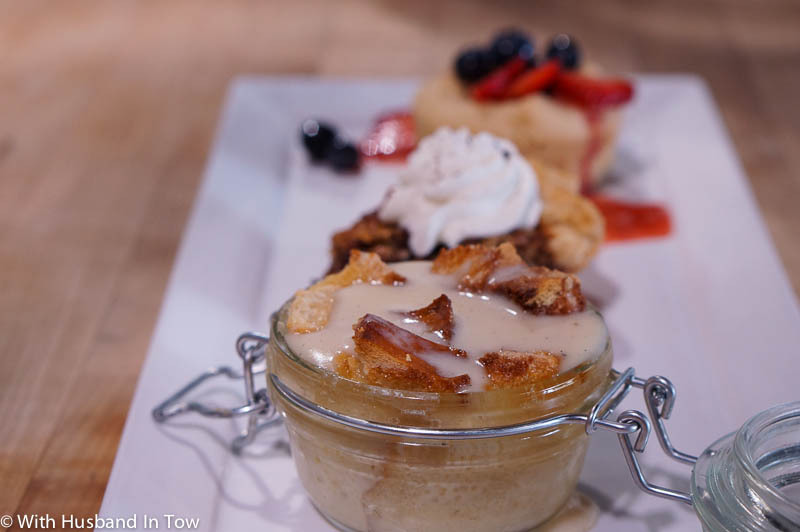 They are focusing on innovative versions of classic southern dishes, and their white chocolate bread pudding is a good place to start. Runner Up: Eric is not as much of a fan of bread pudding as I am, but when we got a southern dessert demo at Red Stick Spice Co. in Baton Rouge, he became a convert. Before I was even done taking my photos, he had practically licked the bowl clean. 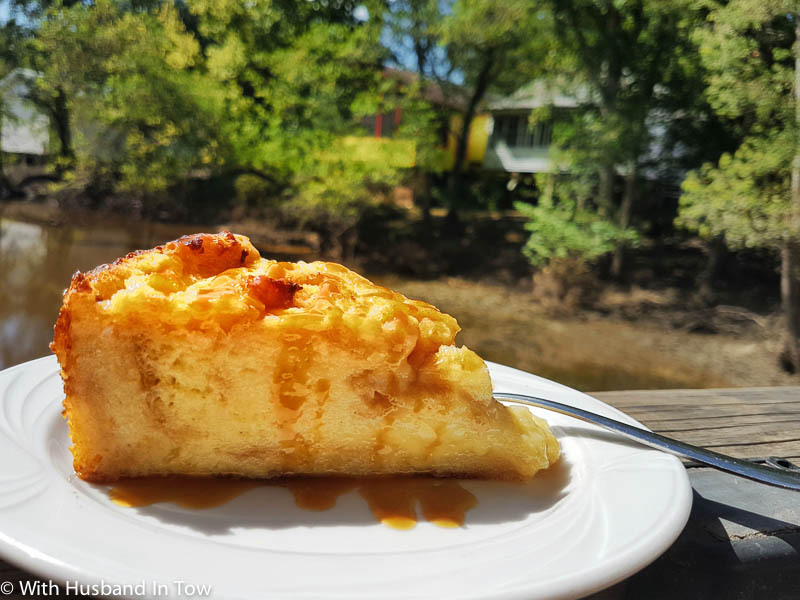 Well done Chef Anne, you created a bread pudding lover! Just before we arrived in the Gulf, horrible rains plagued Louisiana, with the Baton Rouge area being hit the hardest. It was a constant topic of discussion, with many people still out of their homes over a month later. Despite this, our experience along the Gulf Coast was incredible. I hope that our readers will visit there and experience the cuisine and the hospitality for themselves. After disasters like this, tourism is more important than ever to keep small businesses alive, and to pump up the economy of the region. If you’re not able to visit, please consider donating to the Baton Rouge Area Foundation or Operation BBQ Relief, to support the relief efforts in the region, which are still ongoing. We are craft beer novices, as we’ve mentioned before when we talked craft beer with The Opportunistic Travelers on episode 09 of season 2. But, during our #USChowDown 6 week long US culinary road trip, we wanted to learn as much as possible about American craft beer. And, we were schooled in Louisiana, at Parish Brewing Company. After a trip to Lazy Magnolia Brewing Company in Mississippi, and a week of drinking craft beer in New Orleans, I think my taste buds are getting the hang of American craft beer. I am still not a fan of the IPAs, which are a little too hoppy for my tastes. But, I’ve been enjoying quite a few of the beer we’ve tasted. 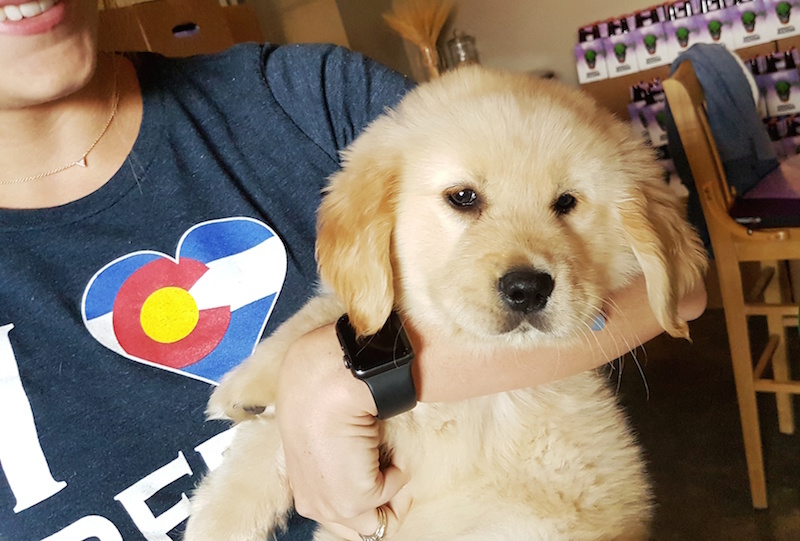 When we walked into Parish Brewing Company in Broussard, Louisiana, we were greeted in a bustling Tap Room by the owner, Andrew, and his adorable puppy, Murphy. Andrew gave us a tour of the brewery. And, we tasted every one of their 12 (!) American craft beer varieties, and I enjoyed quite a lot of them. 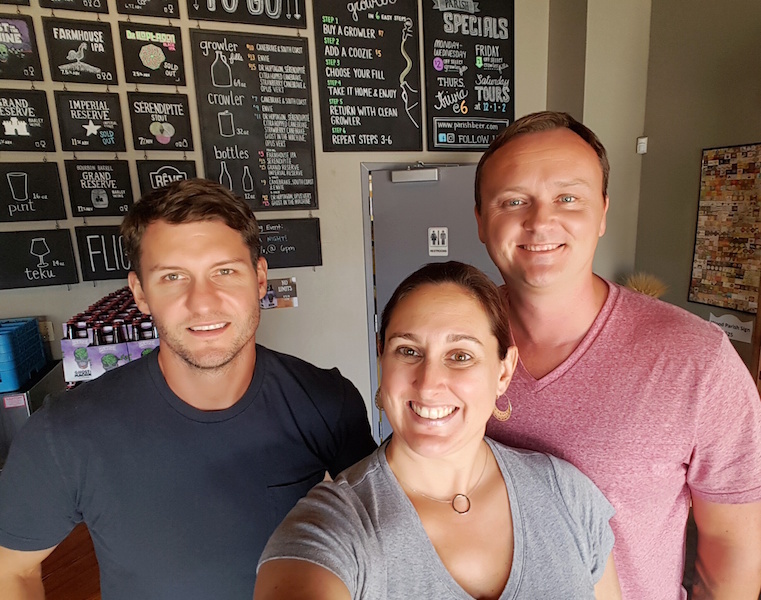 On this week’s episode of the food travel podcast, we sit down with Andrew to talk hop wizardry, how he ended up in the American craft beer industry, and why the food in Lafayette, Louisiana is so darned special. 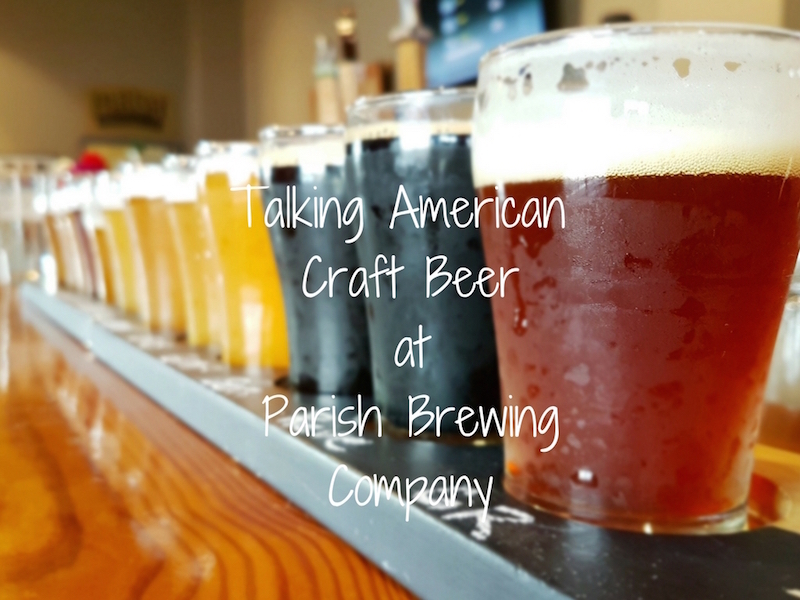 Although right now Parish Brewing Company only distributes their craft beer within Louisiana, it is easy to find all over the state. In particular, search for my favorite, the Parish Brewing Company Canebrake, and Eric’s favorite, the Everie IPA. Just before we arrived in the Gulf, horrible rains plagued Louisiana, with the Baton Rouge area being hit the hardest. It was a constant topic of discussion, with many people still out of their homes over a month later. Despite this, our experience along the Gulf Coast was incredible. I hope that our readers will visit there and experience the cuisine and the hospitality for themselves. After disasters like this, tourism is more important than ever to keep small businesses alive, and to pump up the economy of the region. If you’re not able to visit, please consider donating to the Baton Rouge Area Foundation or Operation BBQ Relief, to support the relief efforts in the region. We ate so many great meals in our few days exploring the Mississippi Gulf Coast. Neither of us had ever been to Mississippi before, and frankly, as Northerners, we probably carried some preconceived notions of what Mississippi is all about. But, within the few days we spent exploring the best Mississippi Gulf Coast eats, all of these notions were dispelled. 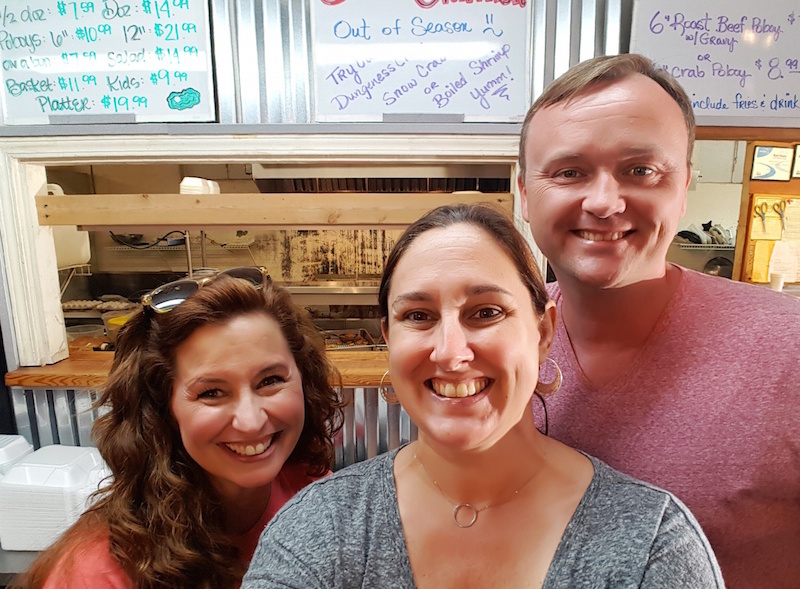 On this week’s episode of our food travel podcast, we sit down with Kait and Jessie, the partners behind Greenhouse on Porter in Ocean Springs. Not only are they making some amazing biscuits, but in a few short years, they have created a neighborhood cafe, set, yes, inside a green house on Porter Ave. We had breakfast there three days in a row, and each day had loads of great conversations with locals, who welcomed us with open arms. 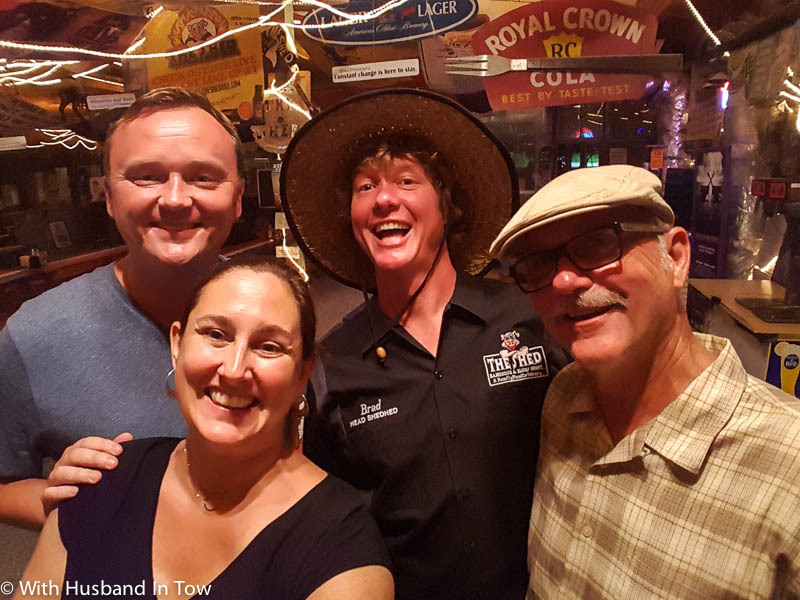 We also sit down with Gindy Taranto of Taranto’s Crawfish House in D’Iberville, Mississippi. 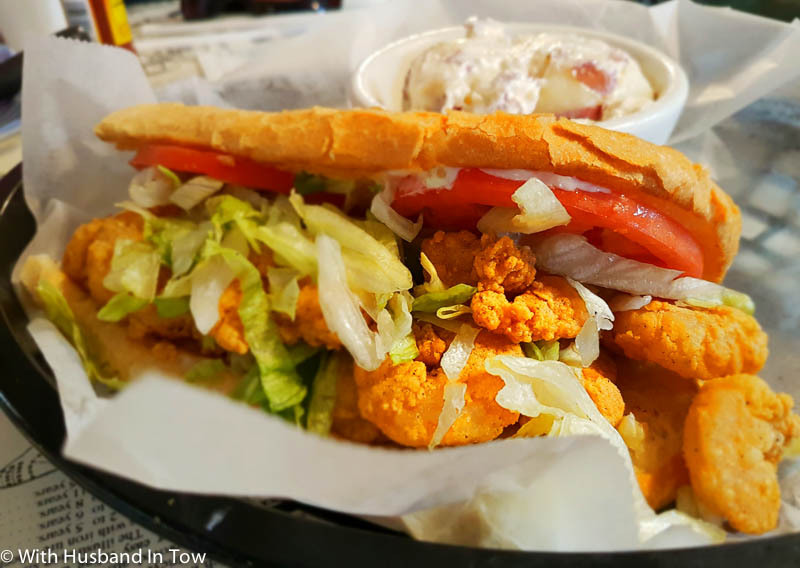 Set on the corner of a country road, and packed to the brim during a busy weekday lunch, they have some of the best po’boy sandwiches in the region. We talk with her about what it means to make a mean po’boy, along with the reputation the Gulf Coast has for crawfish. 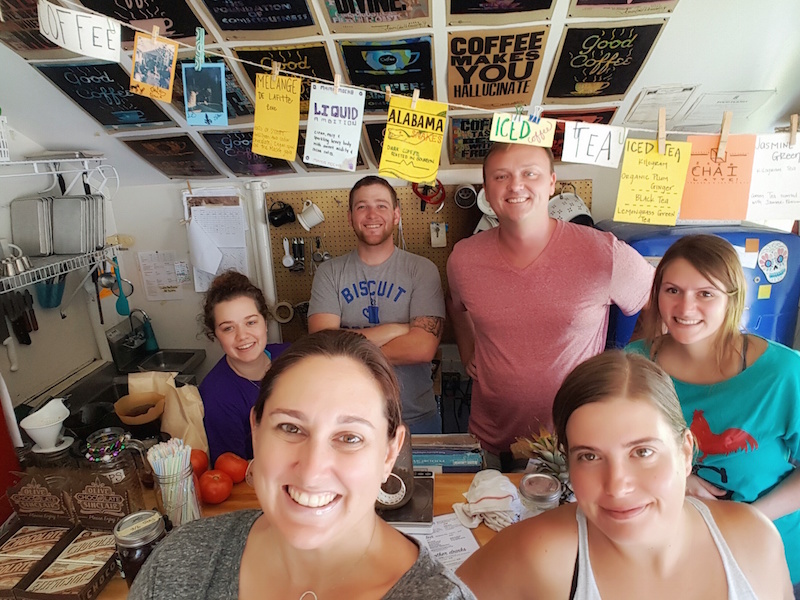 We also talk about the effect Hurricane Katrina had on them opening their business, a constant theme with almost everyone we met along the Gulf Coast.